Let’s face it: the world of feel-good marketing has long been over. But this is old news. Data has long been used by marketers and sales professionals alike. In fact, I bet the above sentence alone likely made you roll your eyes. So why are we still not using data to it’s fullest to inform our every action? The first step to utilizing data is turning it into insight. That means displaying it in a way that can be acted upon, which is where marketing dashboards come in. In this guide, I’m going to show you why you should create dashboards to communicate all areas of the business, how to build them, as well as examples you can create with the data you already have today. Having an in-depth understanding of marketing’s contribution to your organization is critical. It’s key to present a transparent account of the results we generate for your teammates, the boardroom level, and even sales teams. What are the results for specific metrics over a certain period? How are you contributing to revenue? These are all questions we must answer as marketers, and dashboards can help us do that quickly and effectively. Spending on digital marketing is only increasing. As such, attributing revenue to the last click is no longer good enough. You must justify every single marketing dollar’s contribution to the business. Furthermore, sales teams demand more transparency into marketing’s contribution. While “building brand awareness” has value, it doesn’t deliver tangible value to sales professionals. They need measurable results in the form of leads. These are all challenges that marketing dashboards can solve. With dashboards, reporting on complicated sales cycles and presenting data to several stakeholders is easy. You can get an instant view of how your marketing is performing. Big data allows us to collect huge amounts of measurable insight about our customers, audience, and marketing effectiveness. Dashboards make this data easy to understand. You can make better predictions and truly harness the power of predictive marketing. Before building your dashboards, you must understand the data and information each will display. Many marketers improvise when building their dashboards. As more people within the organization ask for different forms of data, dashboards become cluttered with meaningless data. Your dashboards need careful consideration well before they’re built. Let’s dive into the principles to keep in mind when designing your dashboards before creating them. For example, CMOs most likely do not care about server performance. But they do care about metrics like CAC and ROI. Be conservative about the metrics you choose to include. More data equals more clutter. First, talk to the team or executive the dashboard is being built to serve. Ask them what they want more visibility on, and which insights mean the most to them. Collaborate on the metrics that matter most to them, and feel free to suggest those that they may not have considered. Strategic: These must include the KPIs that senior management track on a regular basis. These should provide executives with reports on business performance. Metrics might include revenue, sales pipeline and CAC. Operational: Monitors the metrics that are key to keep the business running. For example, marketing teams could use a dashboard that tracks number of blog posts published or inbound leads generated. Analytical: Displays strategic and operational data, drilling down into more granular metrics. Many tools allow users to drill down into high-level metrics for deeper insights. Good dashboard design takes into account the categories of data it displays. 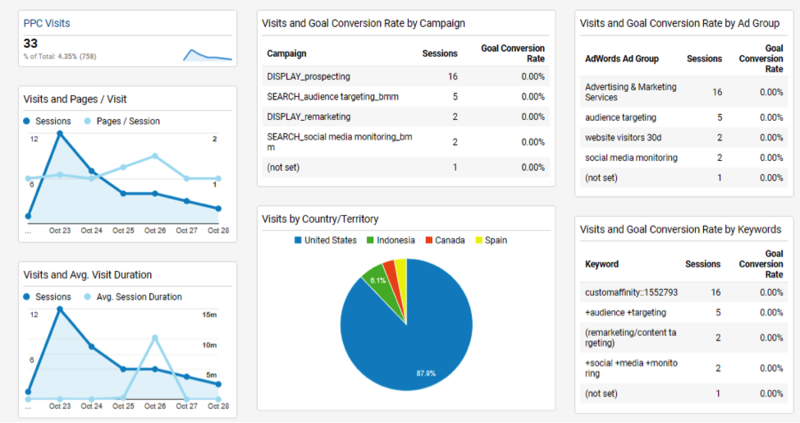 A marketing dashboard, for example, may include non-business critical metrics (i.e. social shares) as well as revenue and acquisition data. Instead of having these all mixed up, it’s important to group each metric in its own section on the dashboard. Product teams, for example, may have their own dashboards to monitor acquisition as well as performance. These two groups would contain their own relevant metrics, allowing executives to assimilate the data more easily. 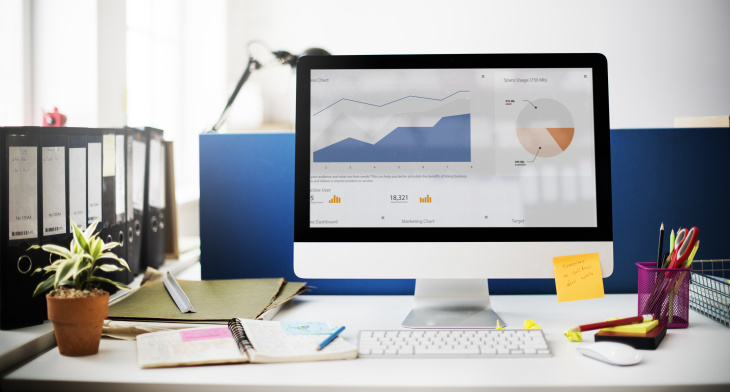 Now you understand the basics of good dashboard design, let’s look at the metrics you must include in your marketing dashboards. Marketing dashboards are only as good as the insight they bring. To do this, they must illustrate the right metrics in the right way. We’ll cover methods of displaying different kinds of data shortly. First, let’s look at the four KPI categories you should should include for all teams, from sales to senior management. Many of these metrics are often considered “vanity metrics.” However, despite popular belief, they aren’t as big a waste of time as you may think. Engagement metrics such as time on page and sessions are often an indicator of how your content and messaging is performing. Although they may not contribute directly to revenue, you’ll gain much insight on where to prioritize and optimize your efforts. How many people are engaging with your content? How long are they sticking around? These are all questions consumption metrics can answer. Once you have those answers, you can take appropriate action that will contribute to all stages of the sales and marketing funnel. Like consumption, social metrics are often considered a low priority. 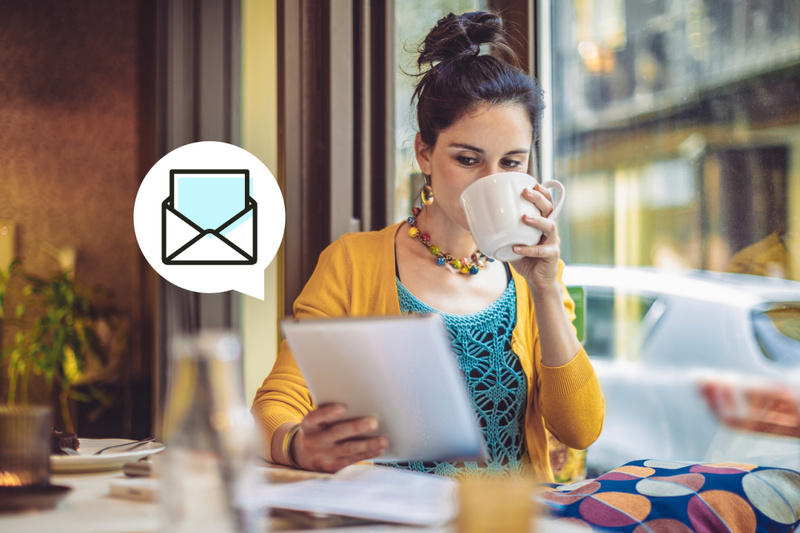 Only this time, they can act as an indicator of your messaging and content sentiment. If your content is generating a lot of shares and social engagement, then this can be an indicator that people are getting value from it. Be sure to check the sentiment of that buzz, as not all engagement is good engagement. While these are quantity-based metrics, it’s also important to understanding who is sharing your content. Keep an eye out for any prominent thought leaders or stakeholders from key accounts who engage with you through social. These next two categories are usually what sales teams and the boardroom will find most valuable. This last metric is important. Attribution models provide data on the role of each marketing channel in the customer journey. Pay attention to only the last click, and you may cut investment to channels that guide your customers there in the first place. Think of it as a football team. There’s usually one "star player" who consistently scores the winning touchdown. But without the rest of the team to pass the ball, they wouldn’t reach the end zone in the first place. You now know which KPIs and metrics to measure. Now let’s learn how to illustrate them to communicate the bigger picture at all levels of the business. Communication is where marketing dashboards are most valuable. Not only are they an effective way to monitor KPIs in real time, but they present the right data in a way that everyone can understand. Internal dashboards: For use by marketing teams. These are granular, data-rich and feature metrics that can be easily interpreted by those who need to act on them. External dashboards: These summarize business-critical results. These help CMOs illustrate results at a boardroom level. The type of widget you use will depend on the metric and how you wish to communicate those results to your team and senior management. In some cases, a single metric will suffice, whereas a table will be needed to illustrate results of particular marketing efforts. Now you know what the building blocks are, let’s look at three you can create using the data you have today. To get started, use Google Analytics to put these together quickly. When using multiple tools and data sources, it’s important to have a tool that brings these sources together. This will help you save time on clunky reporting processes and more effectively optimize your business objectives. If you’re creating content and optimizing for search engine traffic, this dashboard is a must. Understanding how your audience engages with your content and how they reach you gives you the insight to improve. You’ll be able to communicate and personalize your content based on the right inbound and content metrics. These metrics will provide insight into your highest performing content, as well as which channels (and keywords) generate the most traffic and, more importantly, conversions. When it comes to paid media (such as AdWords, Facebook ads, and sponsored social posts), understanding ROI is key. By default, Google Analytics collects only cost, click, and impressions data from AdWords. You’ll need to upload your own cost data in Google Analytics in order to measure these metrics. Use tables that show both the best and worst performing campaigns. Keeping your eye on both means a quick reaction to the campaigns and channels that are wasting money. How many leads turn into paying users/clients? How long does it take for them to convert? Having a dashboard that answers these questions is critical. To do this effectively, you must work with sales and senior management to agree on what defines a marketing and sales qualified lead. Lead scoring systems will help make this even easier. Every single marketer on the planet now is expected to be data-driven. But even with all the data in the world, it’s useless if we can’t see it. Building a dashboard for your B2B marketing efforts will give you insight and visibility on the things that matter most. Keep an eye on metrics that contribute to all stages of the funnel—from engagement to ROI. Until you have visibility, you won’t see the right actions to make. 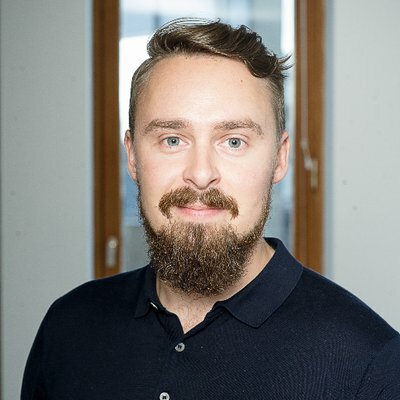 Juuso Lyytikkä is the head of growth at Funnel.io. Funnel is a marketing analytics tool for online marketers that collects data from all advertising platforms and allows marketers to send and visualize this data anywhere. Book a demo to get a free trial.